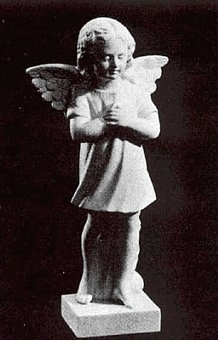 Created from bonded marble, our sculpture of a little praying angel is suitable for both indoor and outdoor use. Comes with hands clasped as shown. Hand finished. Bonded marble. This statue is made in Italy. Dimensions: 12"H with Base of 4"